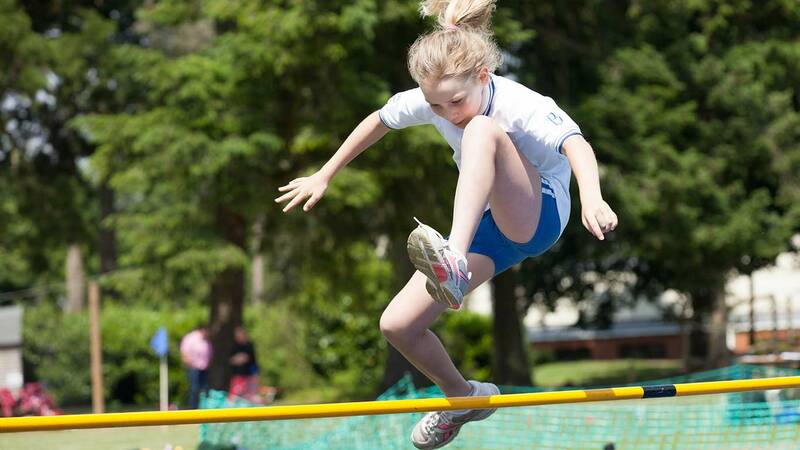 The Sports and Outdoor Pursuits Department offers every child a great deal of variety. The boys learn skills in football, rugby, hockey, cricket, tennis and gymnastics, and the girls play netball, hockey, rounders, tennis and gymnastics. They enjoy participating in athletics and have gained great success in cross-country events against local opposition. 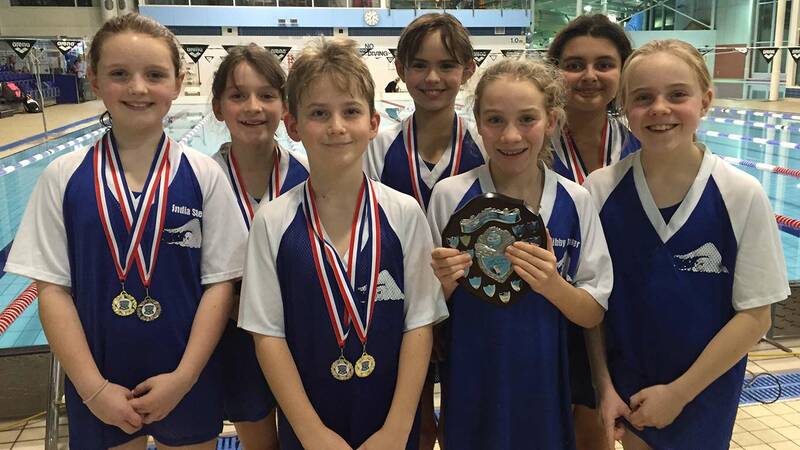 We are particularly proud of our recent success in the IAPS swimming nationals and have, on a regular basis, qualified for the finals in the ESSA Competition and Schools National Final of the Aquathlon. 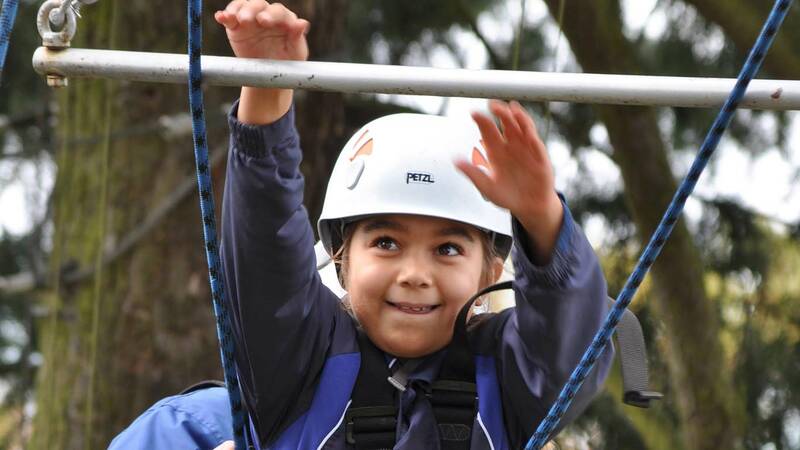 In true Barfield style, the children also enjoy the range of Three Peaks Barfield adventure activities as part of their Sports and Outdoor Pursuits programme. Matches are usually organised on a Wednesday afternoon and Inter-class competitions allow all children to participate and feel part of a team. There is an open invite to parents to come along to support their children and experience the Barfield match tea. All pupils in Year 3 to Year 8 are given the opportunity to play in competitive match fixtures regardless of their ability. However, we do select the top players from across the age range for certain matches throughout the football season. Parents are welcome to watch their children on a Wednesday afternoon, which is our primary match day. 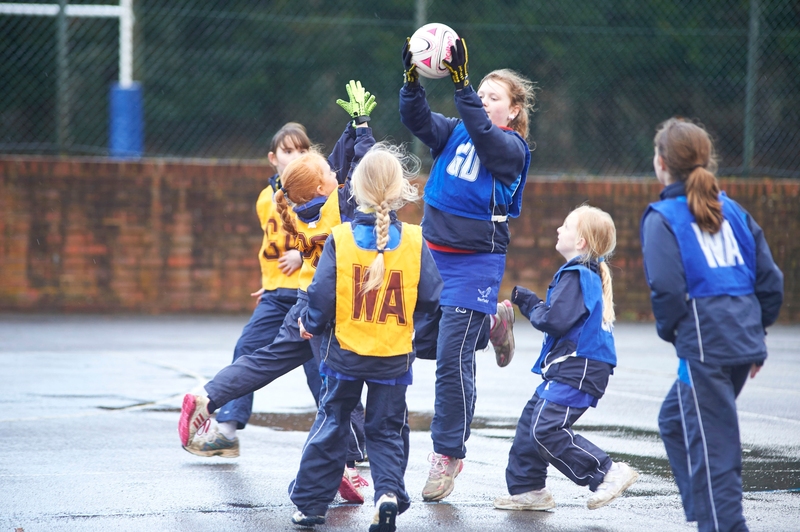 Netball is played by all the girls during the Autumn and Spring terms. The younger girls will experience the challenges of playing High 5 netball which is a simplified version of the full game. Matches are played on a Wednesday afternoon. We have 2 x full size netball courts and we have a comprehensive list of schools which we have regular fixtures against. 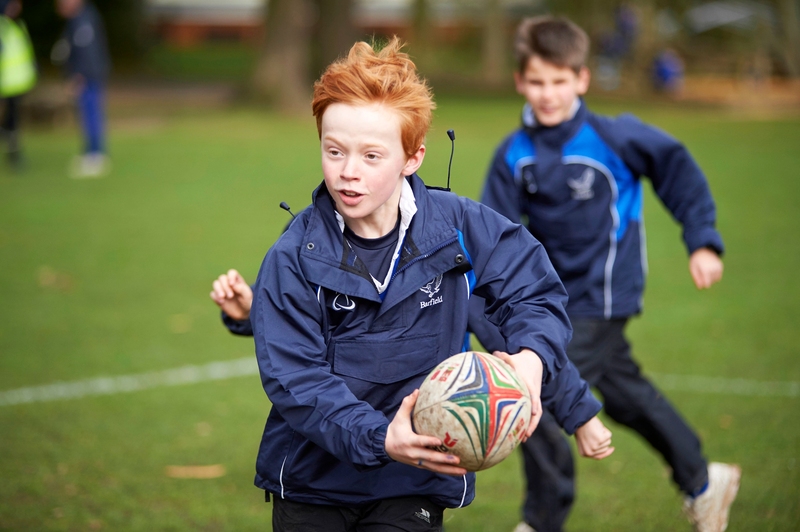 Rugby has become a popular game played by both boys and girls at Barfield. We have close links with Farnham Rugby club and many children from Barfield have now joined the club to develop their skills further. 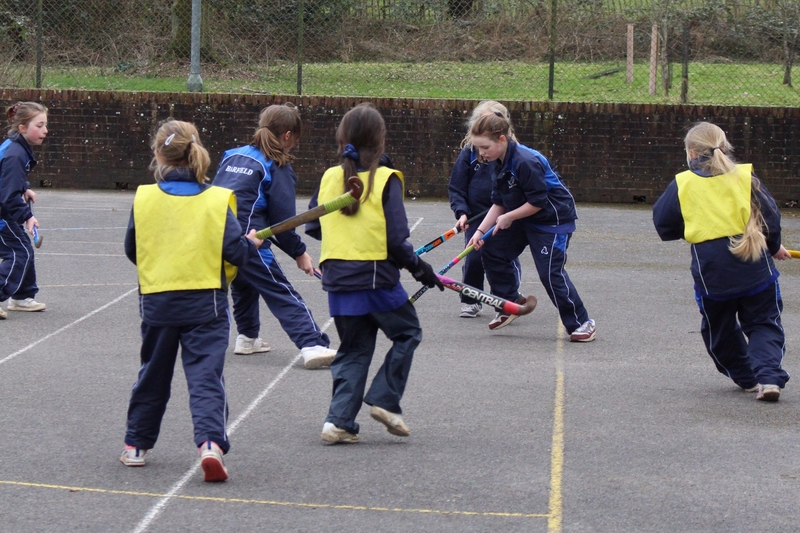 Quick Sticks hockey is played by pupils in Year 3 and Year 4 prior to playing the full game in Year 5 and above. Unihoc is played in the Early Years Foundation Stage and up to Year 2. The girls play Rounders during the Summer term. Fixtures are organised so that each age group usually have an opportunity to play a home and away fixture against each school on our fixture list. Parents are always welcome to attend and support the girls and enjoy the Barfield match tea after a hard fought game. Cricket is played during the Summer Term. Coaches concentrate on developing the children’s skills in batting, bowling and fielding. Small sided games are played with competitive matches taking place on a Wednesday afternoon. Many of our pupils play for local clubs in the area including Aldershot, Farnham and Rowledge. Tennis is a very popular activity here at Barfield. 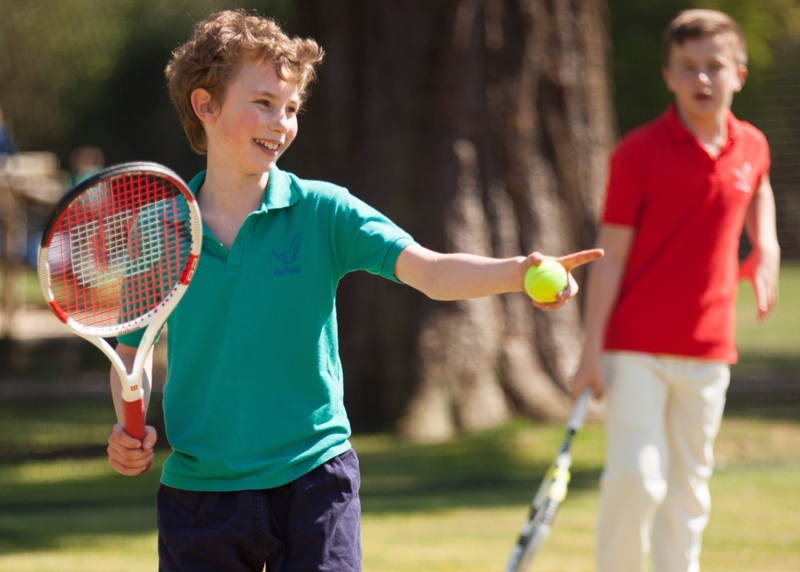 We have 3 x hard courts and 2 x grass courts for the children to use during their break times and games lessons. Barfield School has its own heated indoor swimming pool which serves every pupil in the school. The pool is 14 metres by 7 metres. All children in Owls to Year 8 are given the opportunity to swim once a week. We have an excellent record in competitions and run our own Swimming School open to both pupils and non-pupils. All teaching staff hold the National Rescue Award for Swimming Teachers and Coaches. We have a good selection of apparatus and mats to perform gymnastic skills in Action, Co-ordination and Balance skills. We have our own structured scheme of work which the children thoroughly enjoy progressing through. All pupils are assessed as to their competence in all the disciplines. Gymnastics is provided to all pupils in Owls up to Year 6 during the Autumn and Spring Terms. During the Autumn Term the children in Owls to Year 2 have one lesson of Dance per week, which develops their skills in movement, co-ordination and balance. The children all learn the same dance routines in preparation for the end of term Christmas disco evening, where all children perform the routines en mass, in the Hampson Centre. Dance routines such as the Macarena, Follow the Leader, Cha Cha Slide, Superman and the Shake Down are all performed. As they progress through the year groups their performance improves. Speed, accuracy of movement and timings are perfected in a fun activity. At Barfield the children learn the skills of short distance running 50m, 70m, 100m and 200m sprints and participate in middle distance events such as 400m and 800m. They also have an opportunity to try the field events of Throwing, Jumping for height and distance. Run by Three Peaks Barfield, our on-site outdoor pursuits department, the children take part in weekly Adventure Club sessions. Activities such as Quad biking, High Ropes, Zip Wire, Paintball shooting, Command tasks and much more are offered to them during these sessions. Regular night camps are conducted on our site and we run annual trips to hill walk in the Brecon Beacons.